Gameloft titles don't appear on Android Market, so until now, if you bought a game from them, and then a new Android device, you either had to go through customer service, or backup the .apk file, in order to have the title on your new gear. The game maker supposedly changed its DRM policy once again, as confirmed by one of its employees, and you should be able to log into your Gameloft account, and simply re-download titles you have already purchased to your next Android device. As an unpleasant side effect, you might not be able to use the .apk game stash from your memory card now, since the DRM change. 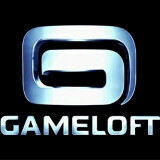 This is still to be confirmed officially by Gameloft, so let us know if it works.